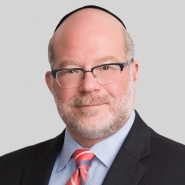 Jay Levine, a partner who is based in the firm's Washington D.C. office, was quoted in a recent HealthLeaders Media's article titled, "FTC Drops WVA Hospital Merger Challenge." In the article, Levine commented on the recent FTC decision to drop its challenge of the proposed merger between two Huntington, West Virginia hospitals. The article published on July 14, 2016.